Brethren, I commend to you that which we have heard from those who have spoken to us this evening. We have received much of counsel and inspiration, applicable to both men and boys. 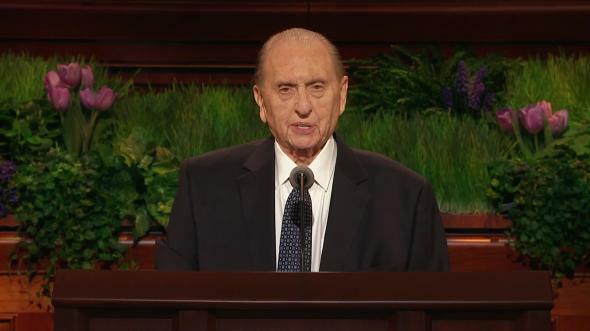 On a number of occasions in years past, I have directed my remarks in these priesthood meetings to those of the Aaronic Priesthood. This evening, if they will excuse me, I have chosen to address the men, with the hope that there may be some long-term value for the young men. I hold before you two credit cards. Most of you are familiar with cards such as these. The first is a bank credit card. It permits me to secure merchandise on credit and then pay for my purchases at one time. It is a valuable thing and something to be safeguarded. If stolen and dishonestly used, it could cause me great loss and perhaps considerable embarrassment. In accepting it from my bank, I enter into a contract and become bound by obligations and agreements. In accepting the card, I agree to meet the conditions under which it was issued. It is issued for one year only and must be reissued each year if I am to enjoy the privileges afforded by it. It is not really mine. The bank retains ownership. If I fail in my required performance, then the bank may shut off the credit and repossess the card. The other card which I have is what we call a temple recommend. It represents a credit card with the Lord, making available to me many of His greatest gifts. The bank card is concerned with things of the world, the recommend with things of God. To secure a temple recommend, the receiver must also have demonstrated his eligibility, and that eligibility is based on personal worthiness. Once granted, it is not in place forever, but must be reissued each year. Furthermore, it is subject to forfeiture if the holder does anything which would disqualify him for its privileges. Eligibility for a temple recommend is not based on financial worth. That has nothing whatever to do with it. It is based on consistent personal behavior, on the goodness of one’s life. It is not concerned with money matters, but rather with things of eternity. The bank card opens the door to financial credit. The temple recommend opens the door to the House of the Lord. It is concerned with entry into holy precincts to do sacred and divine work. This, I submit, is descriptive and definitive and forceful language from the Lord concerning His holy House. 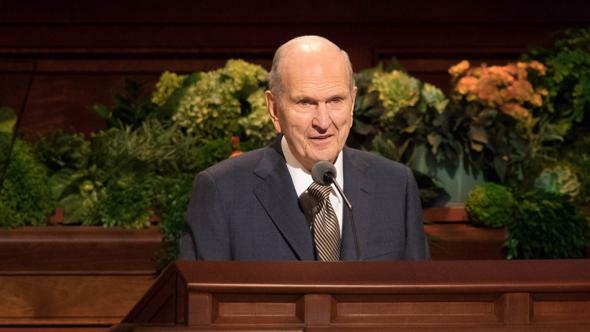 I submit that every man who holds the Melchizedek Priesthood has an obligation to see that the House of the Lord is kept sacred and free of any defilement. This obligation rests primarily and inescapably upon the shoulders of bishops and stake presidents. They become the judges of worthiness concerning those eligible to enter the temple. Additionally, each of us has an obligation—first, as to his own personal worthiness, and secondly as to the worthiness of those whom he may encourage or assist in going to the House of the Lord. 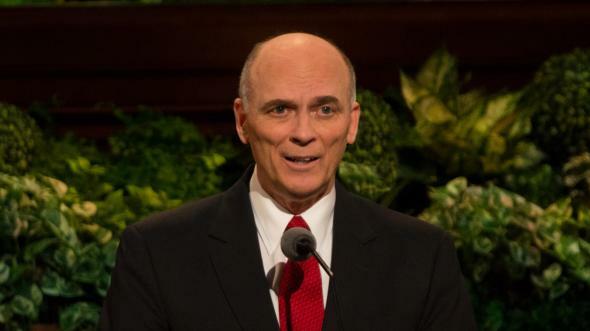 “Dear Brethren: It has been decided that it is no longer necessary for those going to the Temple to attend to ordinances therein to send their recommends to President Woodruff, to be by him endorsed. The signatures of the Bishop and Stake President will be all that is required. “This being the decision, Bishops of Wards and Presidents of Stakes will see the increased necessity for care, so that no unworthy person will be recommended for ordinances in the Temples. At that time, there were three operating temples in the Church—St. George, Manti, and Logan. The Salt Lake Temple had not yet been dedicated. We now have forty-three operating temples. If in 1891 it became too burdensome for the President of the Church to endorse all temple recommends, think of what the situation would be today. But regardless of the number or the circumstances, the issuance and signing of a temple recommend must never become a commonplace thing. This small document, simple in its appearance, certifies that the bearer has met certain precise and demanding qualifications and is eligible to enter the House of the Lord and there participate in the most sacred ordinances administered anywhere on earth. These ordinances are concerned not only with the things of life, but with the things of eternity. Only in the House of the Lord is the fulness of the everlasting priesthood exercised with authority reaching beyond the veil of death. Everything that occurs in the temple is eternal in its consequences. We there deal with matters of immortality, with things of eternity, with things of man and his relationship to his Divine Parent and his Redeemer. Hands must be clean and hearts must be pure and thoughts concerned with the solemnities of eternity when in these sacred premises. Here is taught the great plan of man’s eternal journey. Here are solemnized covenants sacred and everlasting. 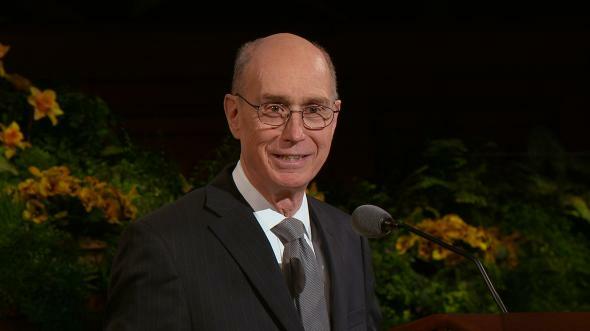 Entering the temple is a privilege to be earned and not a right that automatically goes with Church membership. How does one earn that privilege? By obedience to the laws and ordinances of the gospel. 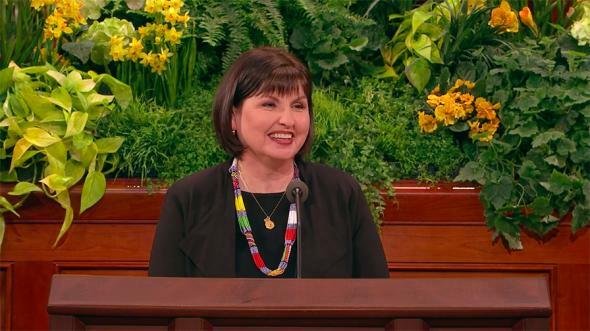 As you know, it is expected that everyone who applies for a temple recommend will be asked certain specific questions to determine his or her worthiness. It goes without saying that there must be total honesty on the part of those who are interrogated. The questions are not to cause embarrassment and should not do so. Bishops are cautioned against indiscreetly prying into highly personal and sensitive matters. But at the same time, the bishop must be assured that the applicant is worthy to enter the House of the Lord. Some of these questions are specific in their nature. These concern such things as tithing and the Word of Wisdom. Of course, one is expected to be a full-tithe payer. The payment of tithing is simply a faithful response to a commandment of the Lord. It is a mark of obedience to the divine will. Furthermore, long observation has shown that the faithful and honest payment of tithing is an indicator of faithfulness in other matters. Tithing and the Word of Wisdom deal with straightforward and easily comprehended things. There are other matters, somewhat more subtle, but of even greater importance. They concern our basic honesty, our basic integrity, the degree to which we accept and live the laws of God which are incorporated in the teachings of the Church. 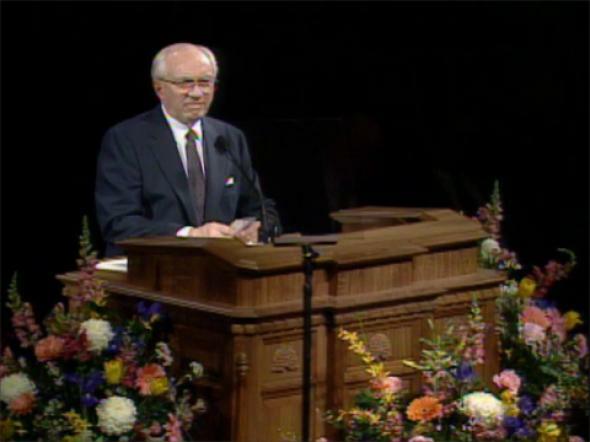 Do we sustain our local and General Authorities? This is not concerned with an exercise in paying homage to those whom the Lord has called to preside. It is a basic question of recognition of the fact that God has called a prophet to stand at the head of His church, that he has called others to work with him on a general level, and that that which they espouse and teach comes of unitedly praying together, pondering together, seeking the will of the Lord, receiving that will, and following it. Loyalty to leadership is a cardinal requirement of all who serve in the army of the Lord. A house divided against itself cannot stand. (See Mark 3:25.) Unity is basic and essential. Declared the Lord, “If ye are not one ye are not mine.” (D&C 38:27.) Failure to sustain those in authority is incompatible with service in the temple. Honesty with others, including obedience to constitutional law, is likewise a requirement. 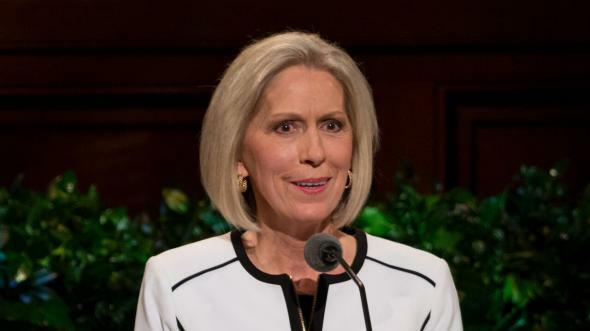 Occasionally, we receive letters from those who openly advocate opposition to the payment of taxes, complaining that their bishops and stake presidents will not give them temple recommends because of their activities. Through the years of the history of this work, there have been occasions when the Church and its members have come up against the law of the land. In such times, we have taken a stand in the courts. In those instances where the courts have ruled against us, although the ruling was difficult to bear, we have accepted it and conformed to it. Obedience to law, when that law has been declared constitutional, is incumbent upon the Latter-day Saints and therefore becomes a standard of eligibility to enter the temples of the Church. In that general context, may I say that we have taken the position that fathers who fail to provide court-mandated support for their children cannot expect the privileges of the House of the Lord. The scriptures are straightforward in their declarations concerning the responsibility of fathers with reference to their children. When divorce occurs and bitterness grows, as it usually does, some men will go to almost any end to escape provision for their care. Where such becomes a violation of that which has been ordered by a court of law, it becomes an act of contempt contrary to the doctrine and teaching of the Church. The temple recommend which you carry, if honestly obtained, is certification of your moral worthiness. It is inconceivable to think that a man who is a philanderer and unfaithful to his wife would consider himself eligible for the temple. It goes without saying that none such should be given a recommend. But there is another, less obvious, group of whom I wish to speak. I have in my office a file of letters received from women who cry out over the treatment they receive from their husbands in their homes. They tell of the activity of some of these men in Church responsibilities. They even speak of men holding temple recommends. And they speak of abuse, both subtle and open. They tell of husbands who lose their tempers and shout at their wives and children. They tell of men who demand offensive intimate relations. They tell of men who demean them and put them down and of fathers who seem to know little of the meaning of patience and forbearance with reference to their children. Brethren, when the bishop interviews you for your temple recommend, he is not likely to get into these delicate and sensitive and personal things. You must judge within your heart whether you are guilty of any practice that is unholy, impure, or in any way evil before the Lord. Most important, and above all other qualifications, is the certain knowledge on the part of a recommend holder that God our Eternal Father lives, that Jesus Christ is the living Son of the living God, and that this is their sacred and divine work. Brethren, I believe that most who hold temple recommends meet all of the requirements. I regret to acknowledge, however, that there may be a few who do not and who should not enter the House of the Lord. I know it is difficult for a bishop to deny a recommend to someone who is in his ward and who may be on the borderline with reference to personal behavior. Such denial may be offensive to the applicant. But he or she should know that unless there is true worthiness, there will be no blessing gained, and condemnation will fall upon the head of him or her who unworthily crosses the threshold of the House of God. May I speak also of a matter pertinent to temples? 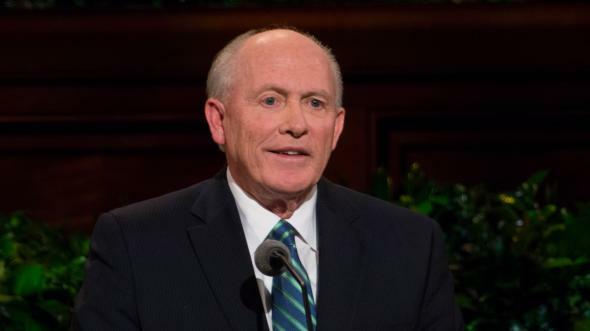 I remind you of the absolute obligation to not discuss outside the temple that which occurs within the temple. Sacred matters deserve sacred consideration. We are under obligation, binding and serious, to not use temple language or speak of temple matters outside. I first went to the temple fifty-seven years ago. It was different from any other experience I had had in the Church. A young man of my association went about the same time. Thereafter, he was wont to use phrases from the language of the temple in a frivolous way. It was offensive. It was a betrayal of a sacred trust. I have watched him through the years. Once faithful, he has drifted from all Church activity and forsaken the faith of his fathers. I think that much of what has happened to him began with that small irreverential thing that he did in trivializing language which is not trivial. In closing, I repeat that this recommend which I have and which so many of you have is a precious and wonderful thing. It makes one eligible for an exclusive and remarkable privilege—the privilege of entering that House which says on its wall, “Holiness to the Lord—the House of the Lord.” Live worthy to serve in that House. Keep it holy. Do your part to keep from the Lord’s House any unclean or defiling influence or person. Enjoy its beauty. Enjoy the wonder of the things that are spoken there, the beauty and the blessing of the ordinances there administered. 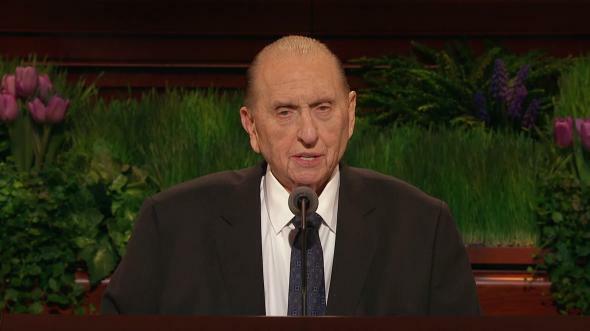 To young men who are here who have not yet been to the temple, may I suggest that you take advantage of the opportunity of being baptized in behalf of the dead. And then let that sacred experience become an anchor to your lives, that you so conduct yourselves at all times and in all circumstances that, at the proper time, you may secure a special and restricted credit card with the Lord, even a recommend to His holy House, there to enjoy all of its blessings and privileges. I so pray, in the name of Jesus Christ, amen.